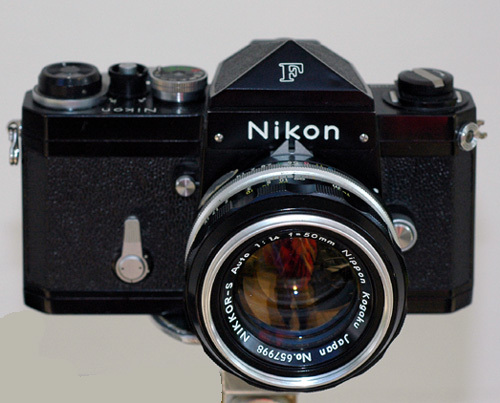 The Nikon 1 Release: Mirror&#39;s, who needs them? The Nikon 1 Release: Mirror's, who needs them? So, Nikon has jumped into the mirrorless Camera market...great... It kind of makes you think: Why do we need mirrors in cameras? According to my always resourceful and sometimes accurate wikipedia sources, SLR's or Single Lens Reflex cameras have been around 1884. They were called single reflex because of the action in the camera that moved the mirror out of the way to expose the film or sensor. 35mm SLR's weren't commercially available until Leica's PLOOT camera in 1935. In 1952 japan jumped into the SLR game.. with (Pentax) releasing the Asahiflex. Nikon, Canon and Yashica introduced their first SLRs in 1959. SLR's were needed for serious photographers who really wanted to see exactly what would be captured on the film. Before SLR's your viewfinder was just a hole through the camera above the lens -- Close, but not too accurate. Then cam DSLR's- a step up but not away from the mirror. Now, all of our cameras have beautiful LCD displays on the back side that'll show you exactly what you're going to get in a picture. So, I ask the question again: Why do we need that mirror? So that brings us to the Nikon 1 system. The V1 and the J1.. and a new question. Could this be the future of Professional Photography. With their announcement, Nikon has indicated that they are really throwing a lot of the future of their company into this new system... simultaneously releasing a new line of Lenses (four), flash and a GPS system. The answer to one of those cameras is this: A mirror does not make me feel any better about my camera... especially when a camera without a mirror can have features like this one. 2. High speed bursts of picutres... something like 10 pictures per second with this thing. Right now, Sony, Olympus and Panasonic have the mirrorless market locked down, but this is something completely different from even those highly advanced systems. a native ISO range of 100-3200 (6400 Hi-1) for maximum versatility. Now to be fair all of this is coming from a guy who owns an Canon SLR EOS 630 (that's broken) and a Canon SX20 which is a non-interchangeable lens camera. It's kind of a DSLR imitator with a 5 - 100 mm range. With that being said, my camera is not the future of digital photography. I'm not even sure if my dream camera - the Canon D7 is the future of Digital photography. It appears that Nikon along with Olympus, Sony, and Panasonic are leading the way to the future. As a die hard Canon fan, all i can say is I really hope the company has something good on tap for the future. I hope they aren't the only company left in the mirror. “The needs of the consumer are changing and the world is becoming one of visual conversation, which paves the way for the next chapter in image capture devices. The new Nikon 1 system is the culmination of more than 75 years of optical excellence and relentless pursuit to the unrivaled technological advancements in camera technology,” said Bo Kajiwara, Director of Marketing, Nikon Inc.
First Day of School: Go Ethan!